Yoga, meditation and other mindfulness practices are rapidly gaining recognition as effective treatments for conditions such as Autism Spectrum Disorders, ADHD, childhood trauma, anxiety and depression. Yoga is a time-tested, safe and effective approach to developing self-regulation skills and self-awareness. These skills provide the essential foundation for learning, social interaction and general emotional well-being. 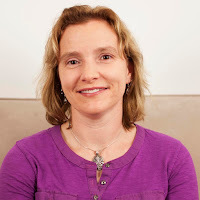 Presenter Hannah Gould, M.Ed., RYT is director of the therapeutic yoga program at NESCA (Neuropsychology & Education Services for Children & Adolescents), a private pediatric neuropsychology group practice in Newton, MA. She will provide a basic understanding of what yoga is and how it can benefit children and adolescents with emotional and developmental challenges. Participants will learn and experience simple yoga-based techniques that can be shared with children at home or in the classroom. They will also learn a step-by-step approach to helping children and adolescents effectively apply self-regulation strategies.